My name is Steve Burns and I have been taking Southern Cross Velvet products for a few months and I have seen awesome results. I am an avid weight lifter and runner, and I have really noticed gains in lean muscle since I have been taking the velvet. But the reason I gave the product a try was because I have tennis elbow in both of my arms. Lifting weights and coaching baseball have taken a toll on my elbows and I was to the point where I had to go get a cortisone shot in my right elbow because the pain was so severe. The shot worked for a few months, but the pain was starting to come back in my right elbow, and my left elbow was starting to hurt so bad I thought I would need a shot in that one too. You can only get so many cortisone shots until surgery is required. I didn’t want to think about surgery, and I didn’t want to stop lifting and coaching, so I was talking to my uncle one day about my pain and he told me about Southern Cross Velvet. I decided to give it a try…. and I am so glad I did! After a month and a half I have almost no pain in my elbows. I didn’t slow down on my lifting either… the capsules that I take are very convenient and they just work. I am going to place an order for some of the spray as well. I am so glad that I gave Southern Cross Velvet a try… It has really improved my way of life. Thank you so much!!! I fell in love with deer antler extract about a year ago and have been taking religiously ever since. It was November 2010... I had really bad pain in my arm. I could not put on a jacket, wash my back or hold groceries. I decided to try acupuncture, then after 5-6 sessions and no improvement I went to the doctors. The doctor thought I might have had a rotator cuff injury and sent me to physical therapy. After a couple months and no improvement I was then sent for an MRI. I got the results mid March 2011. They said I had no tears and some mild arthritis which was normal and that there was nothing I could do. I left the doctors very disappointed and still having pain in my arm. There is really not much to say that these pictures can't do on their own. I've lost 20 pounds gained an amazing amount of energy and just overall I feel better. This product has helped get back into the physical shape I was in high school and then some. My strength is increasing exponentially and the energy and stamina I have at the gym is like never before. I can't wait to donate those shorts. Thanks again Southern Cross Velvet! Ever since I heard of Antler Velvet, Ive been wanting to try it... searched Google and Southern Cross came right up. Reviewed the information and all the Faq's and the Testimonials on the website, and decided to try it. Got some for pet also. Let me say that this stuff is the best thing ever... helps me recover from my everyday muscle damages. helps me heal faster. gain more lean muscle mass. helps my hair grow, gives me a higher libido, heals my skin lacerations faster than with any ointment, and is very good at curbing appetite. My dog who is currently 9 years old and used to have a problem with his hip, no longer does, and has the life and energy of a puppy. just last week, a "dog person" thought he was 3 years old!.. he's lean and mean and full of life and has a healthy body, just like his owner. I take 2 every morning with my Milkshake, and my dog gets one in his food every evening. Wont ever be without it. Love the Velvet and the fast shipping from Southern Cross is great as well. 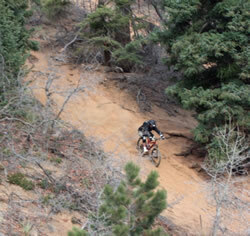 I have been in numerous motorcycle and mountain bike accidents over the last twenty years. I have broken over twenty-five bones in my body and had many muscle and tendon tears. I don't know of any product that works as well as Southern Cross Velvets Red Deer. I've tried quite a few supplements. I feel it is nothing short of a miracle. I had a broken back and neck. I sat in a chair for a year. I gained 50 lbs and was in constant pain for years and could not sleep. Starting taking Southern Cross Velvet's Extract and lost 50 lbs and was able to workout constantly. Now I train people in how to recover from injuries and help them to lose weight. It is a blessing to have something that is all natural that works this good! Southern Cross Velvet is a family owned business and is one of the first companies to carry red deer in the U.S. I can't think of any company that I trust more than Southern Cross Velvet. I highly recommend this company! Very few companies have a personal touch like Southern Cross Velvet and it has greatly enriched my life. I just want to start off and say I love this product. My story starts off a couple years ago I was diagnosed with cancer and had to stay in the hospital for a month and was very weak. My friend told me about this product and so when I got out I started using it and I have got healthier ever since I started taking the deer spray. I don't feel weak from all the chemo and have energy that lasts all day. I don't think I will ever stop using it it just makes me feel healthier. I then proceeded to Order a 6 Pack! It is By Far One of the Best Health Supplements I have Ever Taken ;-) Let alone the Number One Deer Velvet Product On the Market With the Best PRICE. Do your Own Research before Buying If you Like Which I did and Still Chose SOUTHERN CROSS VELVET! I am Now after those Initial Two Purchases On My 2nd 12 PACK Purchase. So Not Only Have I Experienced Complete Success With There Product But With This Company also! Best Wishes In GOOD Health and Life! I began using the Gift of the Red Deer after an injury to my knee. After the injury, surgery, physical therapy, and massive doses of ibuprofen my knee continued to be swollen and painful. I started taking the Gift of the Red Deer about a year ago. The results have been wonderful. My knee has greatly improved. The swelling has diminished and the pain has significantly lessened, plus the added benefit of feeling more energetic from the Gift of the Red Deer. For whatever reason I had constant headaches and many times felt sluggish without even doing much in the day. After taking 1 or 2 pills a day I haven't got a headache when taking the pills which is the number one reason I keep taking them. I am a 67 year old male who has had one by-pass surgery and have undergone Angioplasty three times. I have been taking Velvet Antler extract for six months. I have noticed a marked increase in my stamina. I also feel that my over all health is much improved. Having used the Deer Antler Velvet Extract, I have seen an improvement in stamina and general health. At my last dentist appointment, my dentist told me that my teeth and gums had never looked this good before, and that I should continue using the supplement. I started taking Velvet Antler Extract from Southern Cross in September 1999. After about 3 months, I felt it had a positive impact on my overall health and well being. I take no other medications so I can only attribute this to the Velvet Antler! I've always been skeptical of "health" products with being a nurse but I truly believe in this product. I am 54 years old and have suffered from arthritis in my hands, hips, and knees for the past ten (10) years. Having tried many of the supposedly miracle aids and pain relievers on the market, I had become cynical as to my belief in any type of relief-giving supplement, however, after much encouragement from a few friends, I decided to try one more supplement, "Gift of the Red Deer," Deer Antler Velvet Extract from New Zealand. For the first time in ten (1 0) years I've found relief from the pain I've suffered. I started taking the Deer Antler Velvet Extract nine (9) months ago, and have experienced reduced swelling and inflammation of my joints, a substantial reduction in pain , and as a bonus, my energy level has increased greatly! Yesterday, "A Cynic as to any miracle aid"! Today, "A confirmed and grateful believer!". Thank you for this gift!! I have been using Antler Velvet since April of 1999, with excellent results. On June 9th 1999, I underwent spinal surgery for severe stenosis in the lumbar region. There were three bone grafts. After successful surgery, my orthopedic surgeon, Dr. Jim Gebhard of Denver, advised me to lift no more than 15 lbs, not to ride my horse, and wear a back brace for four months. 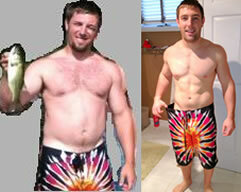 I had been taking 2 capsules of Deer Antler Velvet since April. My first check up after surgery was Aug 9th, 60 days after surgery. Looking at the x-rays, Dr. Gebhard said, "They look good for 90 days". When told it had only been 60 days, he said, "The radiographs looked excellent." I explained about the Antler Velvet I had been taking (no other medications), and his reply was "Don't stop the Antler Velvet." In less than 90 days I was riding my horse and lifting 75 lb bales of hay. I will take two capsules of Antler Velvet per day from now on. It worked wonders for me.